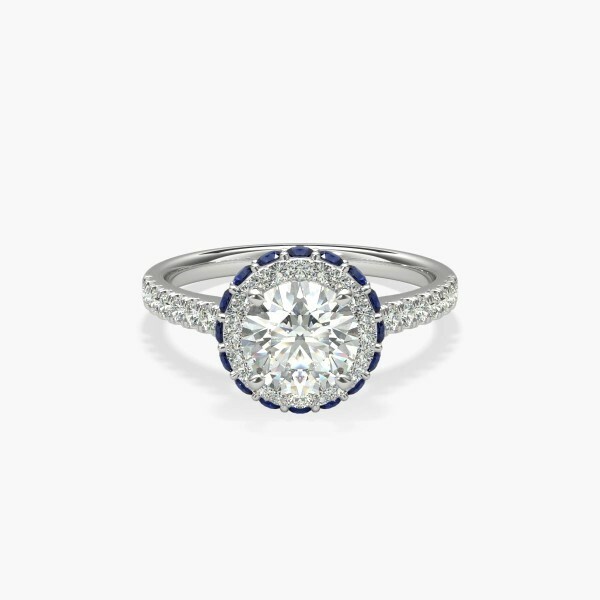 Frame your centre diamond with the most elegant of halos. A round of sapphires is surrounded by white diamonds and set into a band of enduring platinum. More diamonds run along the shank, for extra sparkle at every turn.